Are looking to add a commercial cleaning service or find a new janitorial service to clean your offices or building? Call Offshore Carpet Cleaning and Property Services to tailor a plan to you needs and budget. First, Offshore recommends you take several things into consideration prior to selecting you vendor to provide you these services. If you’ve done a Google search for “janitorial service in South Jersey” you will know there are many vendors at the Jersey Shore who are competing for your business. How do you possibly sort through them all and find the best one for your space? We’ve put together a list of what you should require at a minimum in a professional janitorial service company, like Offshore Property Services, when considering hiring a new vendor. All reputable janitorial services, as with Offshore, should carry general liability insurance and janitorial bonding. General liability insurance is the most common form of commercial insurance a business can carry. It protects that business, the employees and the customers from claims resulting from property damage, bodily injuries, advertising lawsuits, as well as broken furniture and equipment. Janitorial bonding is a specific type of insurance, normally in the form of a surety bond. It protects customers if property or belongings are stolen by a business’ unethical employee. Bonding is essential for cleaning service companies since most cleaning services are performed after business hours, in spaces with expensive office equipment and personal belongings. 1. Am I billed per hour, per cleaning or per month? 2. Is equipment, chemicals, and supplies included in billing? 3. Are there price increases? 4. What are the terms – NET 15, NET 30, etc.? What is quality control and why is it important? Quality control is a process that ensures a certain level of service quality, and is implemented through a system of checks, balances, and rectifications. Quality control is important in the cleaning service industry, because customers pay for a certain level of quality of cleaning services, and almost all of the work is performed on the client’s premises, outside of the supervisory control of the cleaning company. Here are a few of the most common types of systems for quality control. Consider what other services the new company can provide that you are already paying to have done separately at your place of business. A company like Offshore Property Services also provides services for deep cleaning of floors and carpets, upholstery, property management and more. If you as also paying for these types of service you have an opportunity to save overall costs by consolidating vendors. Often times with contracts you can negotiate these additional services at a discounted rate or even include periodically at no additional costs. Something worth investigating should you need these other services, even if only annually. Cleaning checklists are an underrated tool for any business that utilizes processes. In the cleaning industry, it’s crucial for cleaning employees to understand what is required at the client’s facility, plus a checklist allows them to double-check their work for completion. Interacting with your clients on a regular basis is extremely important for maintaining a level of communication that allows for feedback – whether it be a small complaint or a larger issue. This can be accomplished through simple emails, monthly satisfaction surveys, or quarterly in-person walk-throughs at the client’s facility. Following a supervisor inspection or client communication if there are any complaints or issues requiring rectification, corrective action should be taken. This can be accomplished through an employee meeting, training session, or an on-site visit. Insurance and bonding, professionalism, transparent pricing, and a quality control program are the bare minimum requirements one should expect when searching for a janitorial service company. Once services begin, there will be a plethora of other questions and issues to sort through. At least you will be reassured knowing that you have the proper legal protection in place, you have a good feeling about the company and its staff, you know what you’re paying for, and they have a good system in place for ensuring a certain level of cleaning quality. You’ll be ahead of the game if you follow the above 4 guidelines and most importantly you’ll have peace of mind. Offshore Carpet Cleaning located in Ocean City New Jersey area offers exemplary service and fair pricing for your family. Annually or bi Annually cleaning of your floors and carpets not only extends the life of your flooring, but provides a deep cleaning that keeps your home free of dirt and germs. Do you need pet remediation to eliminate pet and urine odors? Offshore can be your resource. We use deodorizing products that can tackle to toughest odors. Emergency service is another great benefit and we are owner operated to ensure every client is completely satisfied. When cleaning your floors or carpets Offshore only uses ECO friendly cleaning products that are safe for you and your family and pets. If you are looking for professional carpet cleaning near Ocean City and Atlantic City look no further than Offshore Carpet Cleaning. Plus: janitorial services, hardwood cleaning, area rug cleaning, upholstery and leather furniture cleaning, water extraction, restoration, window cleaning and power washing. Offshore Carpet Cleaning understands the complexities associated with hardwood floor cleaning and why it’s important to properly seal and maintain hardwood floors. Cleaning hardwood floors can be a challenging task—one that extends beyond the capabilities of your mop or broom. They simply move the dirt around, and fall short when it comes to extracting unseen, ground-in dirt. Avoid doing things the hard way. Instead, rely on Offshore Carpet Cleaning to extract the dirt from deep within the cracks and crevices of your hardwood floor. Imagine the improved air quality and circulation you’ll experience when all that unseen dirt is removed from deep within your hardwood floors. We start with deep cleaning to ensure the dirt and grime is removed and sanitized. We then apply a protective coating to ensure the floor is sealed and also help prevent further damage and extend the amount of time before you need to have it cleaned again. But cleaning a hardwood floor doesn’t end there. We take the hardwood floor cleaning process a step further. Place indoor/outdoor mats at entryways and area rugs in high traffic areas. Avoid rubber-backed rugs or rugs with poor ventilation. 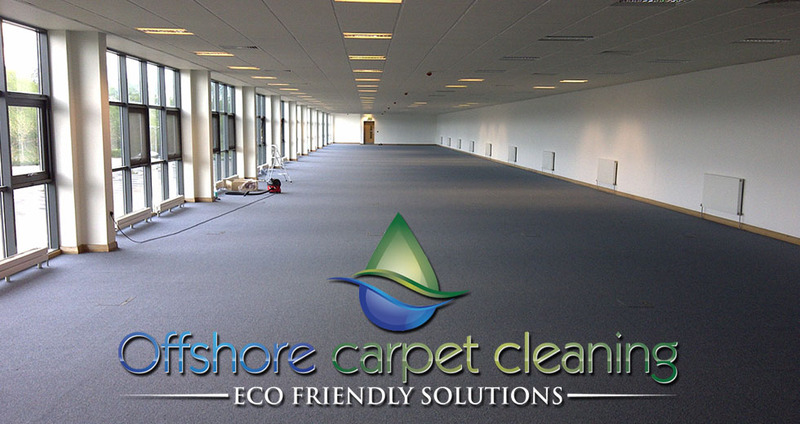 Schedule cleanings every 6-12 months with Offshore Carpet Cleaning. Offshore Carpet Cleaning is southern New Jersey’s best and most professional carpet cleaning & floor cleaning service. We can clean any flooring surface and provide carpet cleaning, hardwood cleaning, tile and grout cleaning , area rugs and specialty flooring. Plus we can repair and install flooring for both commercial and residential clients in Southern New Jersey, Atlantic County,Ocean County & Cape May County. We Know Clean. Using hot steam to ensure the highest level of cleaning sanitation and sterilization. Proper steam cleaning not only extends the life of your carpets but also keeps any flooring surface looking great, plus healthy and free of germs and odor. We specialize in developing an appropriate professional cleaning maintenance plan for any business from restaurants to banks and more. We offer water remediation and pet urine odor elimination and stain removal. Commercial clients are welcome for hotels, office or restaurant space. Our professional cleaning staff is trained to provide quality services for cleaning all types of flooring. Offshore Carpet Cleaning knows the Dog Urine or Cat Urine on your floors can really stink! Our floor cleaning process is perfect for the total removal of pet odors caused by pet urine as well as animal hair and body oils. Offshore Carpet Cleaning uses a special product and technique to treat the affected areas to eliminate offensive odor and stains. Dog Urine or Cat Urine Can Cause Major Damage to you flooring surface. Often, without you even realizing, pets will urinate continually in the same spot> Over time this will cause damage at an exponential rate. Dog Pee and Cat Pee or urine will eventually eat it’s way through your carpeting, tile flooring, wood, and ultimately spread its way into the framework & walls of your home. If neglected long enough, the damage becomes severe enough to require major restoration work, including new carpeting, to completely rid your home of that lingering smell of Dog Pee and Cat Pee – Pet urine. We have specialized cleaning solutions to remove pet urine & odors. This treatment may well be the most significant discovery in odor removal history—at least for us pet owners. All Natural…made from plants, spices, herbs and citrus, is eco friendly/ green and & completely safe for your family & pets. When our solution comes in contact with your pet’s urine, it immediately begins a reaction that destroys it for good. The source and severity of the pet urine damage is determined, and then the carpet will be rinsed and extracted with a hot-water rinse to remove the bulk of the urine crystals. In worst cases, the carpet is pulled back in the suspected areas to reveal the extent of the damage. If necessary, the pad will be removed and replaced. An odor-blocking protectant may also applied to the subfloor if the damage is severe enough. Odor and pet urine solutions are then applied heavily to the tack strip, flooring, baseboards and carpet backing. It is necessary to thoroughly apply it enough to dampen all areas affected by your pet’s urine for maximum effectiveness. Nothing’s worse than the smell of pet urine in your flooring, carpet & upholstery. It penetrates and contaminates. Offshore Carpet Cleaning specializes in eliminating these problems for our clients.